Over on TechCrunchIT they’re not satisfied just talking about tech – now they want to create it. 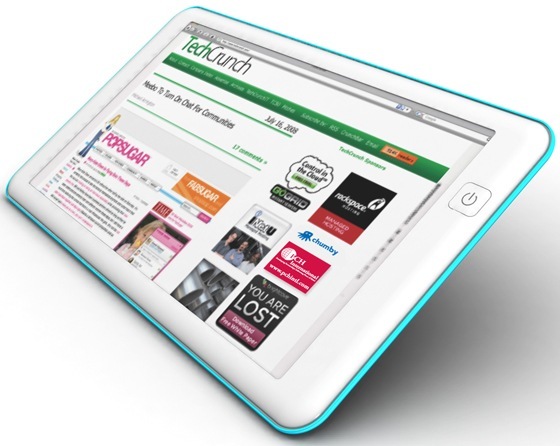 They have visions to create a very lightweight tablet PC running pretty much as a web book. The product looks cool – but even cooler will be to watch the project unfold – it’s intended that it will be a fully open source machine – hardware and software and will sell in the sub $300 range. I’ve been saying forever that operating systems should be in the dead pool – once we’re all exclusively using web apps they can be – this project could just give that concept a bit of a nudge. Hmmm. But all computers need an operating system. An OS is responsible for managing multi-tasks, managing device subsystem communications and so on. A tablet like this will have a touch sensitive screen, at least a wireless ethernet adapter, a power managed CPU, and so. Each one of these needs to be “managed”. This is the OS function. Even a browser needs to be managed. Unless you make the browser the OS, in which case let’s call it what it is. leaving aside the OS side for a moment – what’s the difference between the TCIT WebTablet and a better version of Amazon’s Kindle? I’m probably missing something obvious – keen to know what!